CIO’s usually lead or participate in the digital transformation exercise in any organization. Their objective is to consult, guide and work with the CEO on when, how to leverage the transformation lifecycle. However, the transformation implies that the business and operating model is going to either change to align with a redefined digital business strategy. Although digital transformation as a concept is not new, yet many IT organizations continue to struggle with the impact, based on these changes. Even Gartner estimates that digital transformation is expected to rise from 22 percent to 46 percent by 2020. Therefore, if you are a CIO who understands the importance of digital transformation and wishes to learn how to go about driving and managing this initiative, our article will prove to be a good read. Every business is it a small enterprise or a large organization has to realize the role of IT in digital transformation. It helps to attain success not only in the present but for the future as well It could be across targeting new markets to address the growing customer needs and leverage the technology to automate their operations. Further, it will include change management exercise that will affect departments, and teams differently. It will depend on whether they believe in the mission and focus on personal benefits. So this is where the role of CIO in digital transformation becomes critical. Listed below are some of the recommendations for CIOs on considerations as part of their transformation journey. The focus on every employee while leading the change is critical, especially with executive level employees. CIOs must be aware of the fundamentals of the business, around how and why customers buy their products and services, along with competitive alternatives in the marketplace. They must be well versed with trending technologies that help increase automation that drives excellent customer experience. Further, they must have their ways and means to deliver competitive data & analytics and explore partnerships that drive improvements. At an organizational level, CIO must be able to share knowledge and ask questions. It could be around the impact of the direct competitors taking advantage of new technologies, imperatives of delivering a unique capability to customers, arming the sales organization with real-time competitive data, and more. CIO transformation must take the leadership stance in driving organizational change. They must adopt the change propagated by them. The adoption of digital transformation by the leadership personnel like CIO’s helps with seamless acceptance of evolution by most employees. It helps motivate colleagues across all levels, especially C-level employees. As part of this, their job is to identify the drivers with an explicit role in digital transformation program. It is with the development of a focused communication and marketing program to keep the employees informed about successes, challenges, and significantly, how the teams could get involved. Risk taking is also essential when considering the role of CIO in digital transformation. Though the CIO must keep an eye on the digital initiatives, they must also ensure that projects are not stuck with top management approval for instances where they are confident about the results. Also, the basis of adoption success for new and emerging technologies must be focused on effects with little or no evidence from the past. Investing in people who love technology and are not hesitant to try their hands at innovation is also essential for digital transformation. The CIO must identify such technology enthusiasts to inspire and motivate them by offering opportunities to explore emerging technologies. Further, train them to help other employees to adopt the transformation seamlessly. Identifying the talent gap and creating strategies to fulfill it should also be the aim. While leading digital transformation, the CIO must also ensure that the transformation elements are in line with the company’s vision. So, if the organization is investing time, money and energy into a positive change, cio role in digital transformation enables effective association with the company. So, be it a partner or a customer even they understand the salient benefits and impact of the transformation exercise on the organization as a whole. A CIO must also consider infrastructure level investments while engaging in an enterprise digital transformation strategy. The infrastructure needs to be cost-effective, agile, and flexible. 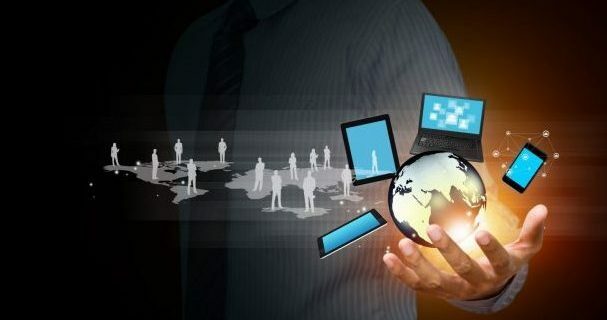 It will ultimately decide the thriving of digital transformation implementation across the organization, and whether it works out well in the end. Digital transformation requires a long-term commitment, which also presents multiple complex challenges for CIOs and their boards within any enterprise. Even, as markets and customers continue to evolve, the organizations might reach a point where their established operational processes and applied business models will have to change to serve the customer expectations. Therefore, being committed to a digital transformation would mean investing in initiatives with low ROI for the short term that will pay off substantially in the future. It is difficult for growing organizations to relate to this type of investments. So, the CIOs have a critical role to fill this gap. It involves getting the organizational support for innovation experiments, selecting the right areas of the business to focus on, prioritizing optimal problems to research, identifying a team of people and partners, and piloting appropriate technologies. Get A Free ConsultationTalk to our experts to plan your enterprise digital strategy.